Search engines, where would we be without them? Within the past 10-15 years the internet has become a huge part of every day American life. Many people nowadays cannot remember the time prior to having this wonderful information highway we call the internet. The internet has really revolutionized the way people live their lives; for example, you can bank online, buy just about anything you want online, meet new people online, and even find local movie times. However, one of the biggest benefits of the internet is the use of search engines. At any moment in time you may have a question, or an urge to get more information about a certain topic and that information can be easily attained through a search engine. In this article I am going to give you a brief history on the evolution of the search engine, and show you how they truly have revolutionized our lifestyles. The history of search engines is the story of university students’ projects evolving into commercial enterprises and revolutionizing the field as they went. The first attempt at creating a search engine was called Archie, and it was created in 1990 by Alan Emtage, a student at McGill University. This very primitive search engine did not use any robot technology. All Archie really did was just become a database of archived filenames, which it would try to match with users’ queries. The next evolutionary step of the search engine was the introduction of “robots.” The first use of robot technology was in the search engine World Wide Web Wanderer. 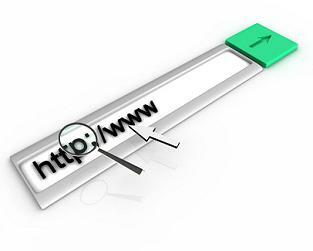 Simply what robots would do is scan the internet for URL’s, starting at one site and using the links in the previous site to find more sites. The problems with these first robots were that if they were not written properly they would cause too many hits on a server decaying the systems performance. To combat these initial problems Martjin Koster came out with the first web directory called “Aliweb” in October 1993. Web directories are different than search engines because the sites listed in them are not from automated robots, but rather from human editors reviewing sites and placing them in the directory. However, shortly after, in December 1993, a new robot was born. This was called the “spider.” Spiders added a much further degree of accuracy by indexing the entire text of a webpage. The older robots only indexed the URL and titles of a page, which meant that some pertinent keywords might not be indexed. This greatly improved the relevancy rankings of their results, and thus was the first major step in forming the major search engines that we have all become so used to using today. Not long after the spider, we saw the emergence of some of the big guns. In 1994, out of Stanford University came the extremely famous Yahoo. The two guys who started Yahoo were students, David Filo and JerryYang. Basically, at first Yahoo was just a list of these guys’ favorite websites. But soon, due to its easy user-friendly interface, became the most popular web directory. Due to the fact that its websites were all human reviewed, Yahoo was only able to index about 1% of the web. At this time, Altavista became the fastest growing search engines using the spider technology and was indexing up to 10 million pages a day. By this time there are two different types of search engines, “author controlled” such as Altavista and Excite, in which results were ranked by keyword relevancy, and “editor controlled” such as Yahoo, in which humans manually placed websites into their index. Then in late 1997 out of Stanford University was born the most popular and well-known search engine to date: GOOGLE. Google has a different way of ranking its websites. It used a Pagerank system. Simply what they did was list websites higher in their results based on how many links were pointing to a particular site. Of course, the content on the page had to be relevant to the keyword typed into the search box. But basically, Google invented what you could call a system of voting. So a site with numerous backlinks or votes would rank higher. A backlink is just when someone else puts a link on their site that points to another outside site. Jump forward to today and Google has more than 80% of the websites on the internet in their index, which is pretty impressive. Search engines have had a huge impact on the American lifestyle. They basically will grant you just about any information you want, all you have to do is type into the search box the topic you want to find more information about. Human beings are natural born information junkies, we always want to know more and find out more and search engines have made this urge of ours extremely easy to cure. Just think about it, maybe you need to fix a simple problem you have with your car. By using a search engine to do some research you may very easily figure the problem out, saving you a very costly trip to the car repair shop. They are just great educational tools. Before search engines emerged if you really wanted to learn something you would go to your library and check out a book. Now before making that trip you may find out what you wanted by just sitting at your desktop and surfing through Google. The list goes on about the many benefits of this great new technology we call the search engine. I’m sure you can recall a time when you found some very good information by using one. If you’re anything like me and find yourself addicted to this easily accessible information highway then your making uses of them daily. Search engines by nature were made very easy to use. However, with a little extra knowledge about how they work you can really take advantage of them and find great information very quickly. With the right knowledge of search engines and the use of specialized tools you can literally find anything you want. And when I mean anything, I mean ANYTHING. For me personally I am excited to see what search engines will evolve into in the future. The sky is the limit. Who knows what type of search spiders the future will spawn, but one thing is for sure there will be newer and newer search technology it’s just our human nature to keep trying to top ourselves. Search engine specialist Steve Bis, is the author of the free search secrets newsletter and owns a unique web search tool that will help you find anything on the internet in 60 seconds, eliminating your search frustrations. http://www.ultimatesearchpro.com.